As with our other innovative unemployment compensation products, UC Flex offers 501(c)(3) non-profit organizations and other eligible employers significant savings over the state tax system. Whereas unemployment benefits charges incurred under both the UC Assure and UC Plus products are paid directly to the state on your behalf by Ohio Indemnity Company, clients of our UC Flex product have the option for deductibles and co-pays as part of their unemployment risk management program. 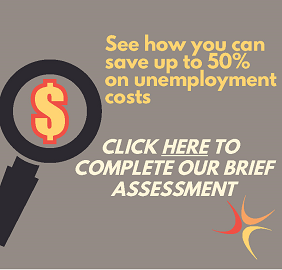 With UC Flex, your non-profit organization can pay out unemployment benefits using partially the insurance provided by UC Flex and the rest out of your own organization's financial reserves, resulting in an even lower cost option for the employer. As the product's name implies, this route offers increased flexibility in terms of payment options, so you and your organization can choose to pay out unemployment benefits in the manner that is most prudent and convenient for your present financial situation. Despite the fact that your non-profit could supply some of the benefits funds under UC Flex, it can still benefit from all the services that UC Assure offers to our clients. UC Flex customers can still take advantage of our partners' industry-leading claims administration and hearing representation, alleviating the frustrations of administrative matters and offering guidance through difficult situations. Click here to get in touch with UC Assure and find out more about UC Flex and our other innovative unemployment compensation products, and to discover which among them is right for your unique organization's situation.